The Heard pays homage to the birth of a child and a modern Indian nation through the art of an acclaimed family of artists. In 1914, the Chiricahua Apache people were released from their status as prisoners of war and given allotments of land in and around Fort Sill, Okla. 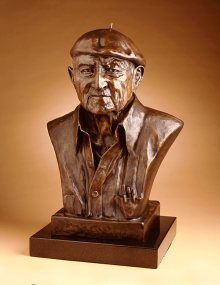 The descendants of Sam and Blossom Haozous – Allan Houser (1914-1994), the centennial of whose birth also gives rise to this exhibit, and Houser’s sons Bob and Phillip Haozous – tell the stories of their experiences and their heritage through their art. Their art shows the pride, reverence and endurance possessed by the Houser/Haozous family and the Chiricahua Warm Springs Apache. Part of the centennial recognition is the commemoration of 100 years of freedom for the Chiricahua Apache, who had been held as prisoners of war after their surrender in 1886 and relocated to Florida, then Alabama and finally Oklahoma. Phillip Haozous (Chiricahua Apache), b. 1941, "Allan Houser bust," 2001. Courtesy of the artist. 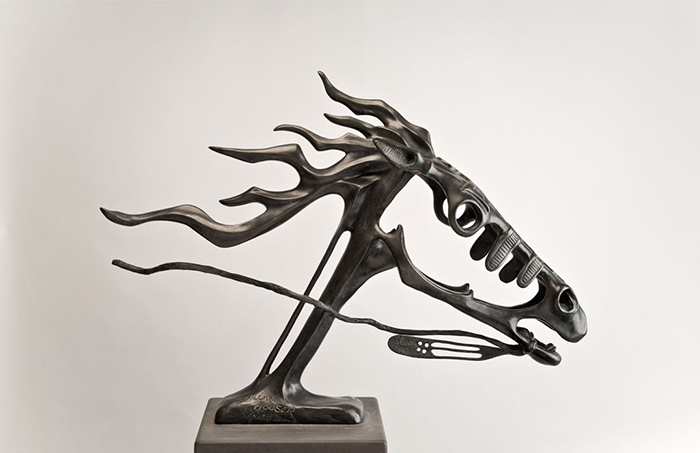 Allan Houser (Chiricahua Apache), 1914-1994, "War Pony," 1978. Bequest of Ann B. Ritt.